Curling up by a fireplace on a cold night, warming up with hot coffee on a brisk Autumn morning, and having fun baking and crafting at home on a rainy weekend… these are a few of our favorite things about November. Since Fall is our most beloved time of year, we hope to warm your hearts, inspire your creativity, and encourage you to enjoy the simple pleasures in life. To celebrate the season of warmth and gratitude, Inspirations & Celebrations presents The Year of Cozy Giveaway. 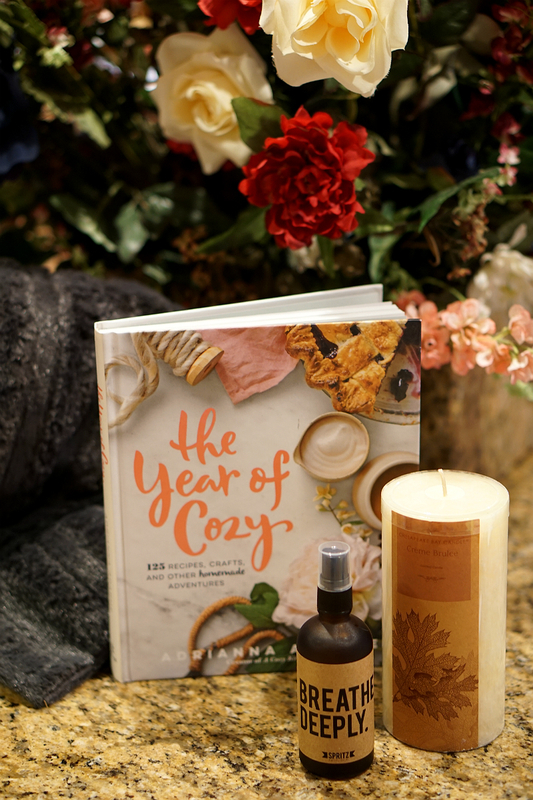 Inspired by the enchanting book, The Year of Cozy (written by Adrianna Adarme, the food blogger-turned-author behind A Cozy Kitchen), the purpose of this month’s giveaway is to help you create a cozy home that brings you a sense of joy, warmth, and comfort. To help you feel beautiful and look gorgeous this season, you’ll also enjoy the deluxe skincare, haircare, and cosmetics in this extravagant prize package. The winner of The Year of Cozy Giveaway will receive a deluxe prize package (valued at over $400) including a Peter Thomas Roth Pumpkin Enzyme Mask, Image Skincare Vital C Anti-Aging Serum, Sol Janeiro Brazilian Bum Bum Care, NYX Luv Out Loud Liquid Lipstick in “Confident”, Breathe Deeply Aromatherapy Spritz, Royal Spa Bath & Shower Gel, Benefit Cosmetics Mini Hoola Matte Bronzer, ArtNaturals Coconut Lime Shampoo, Conditioner, and Hair Mask, Wood & Gold Handle Serving Tray, Gold Striped Coffee Mug, Chesapeake Bay Candle in Crème Brûlée, A Year of Cozy Book: 125 Recipes, Crafts, and Other Homemade Adventures, Notes Journal, Faux Fur Throw, Home Decor Accessory, Ipsy Cosmetic Bag, Coffee & Coffee Syrup Set. Earn 5 bonus entries by sharing this giveaway with friends (by email and social media). The viral share link option can be found in the list of entry options below. Keep checking back daily, as more ways to gain entries will be added! ArtNaturals Coconut Lime Shampoo, Conditioner, and Hair Mask: To gently revitalize your hair, this moisturizing blend of botanicals cleanses, conditions, and hydrates your locks. Containing beauty-boosting antioxidants, this haircare set helps to minimize frizz, enhance shine, and add softness. Benefit Cosmetics Mini Hoola Matte Bronzer: One of the best-selling beauty products from Benefit Cosmetics, this matte bronzer is a must-have for any beauty-loving gal. This universally-flattering shade warms the skin by giving it a bronzed finish. Plus, it can be used as a contouring powder, giving you sculpted cheekbones and a defined jawline. 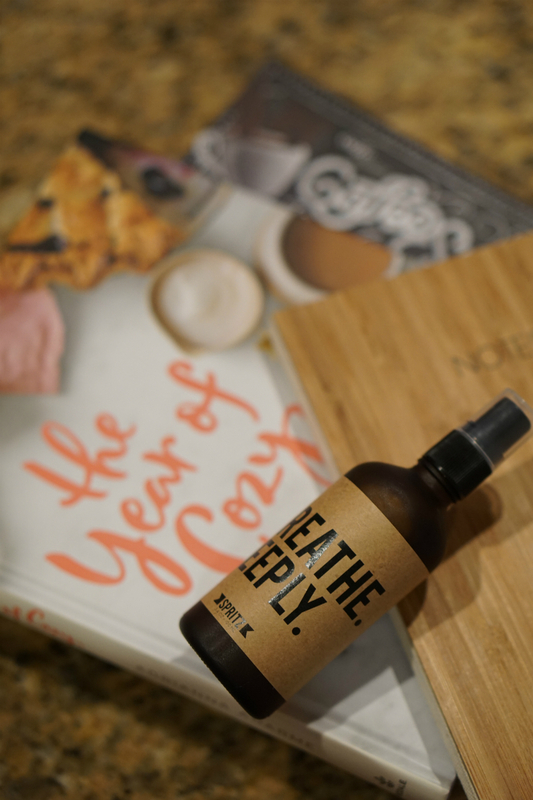 Breathe Deeply Aromatherapy Spritz: Crisp, minty and refreshing, this cooling facial mist is blended in small batches with peppermint, eucalyptus, and other pure essential oils—making for a soothing and stimulating spray that’s amazing for keeping you alert and refreshed. Ideal for traveling, it also helps provide relief from seasonal allergies and colds. Sol Janeiro Brazilian Bum Bum Care: Infused with a Brazilian blend of nourishing cupuaçu butter, antioxidant powerhouse açaí, and super-conditioning coconut oil, this cream leaves you with irresistibly soft skin. The fast-absorbing texture contains just enough mica to add a healthy-looking Brazilian glow, as the formula helps your body look and feel its smoothest and tightest. Chesapeake Bay Candle: To enhance the coziness of your home this season, add the aroma of delicious Crème Brûlée to your home with this beautifully-scented pillar candle. In a neutral vanilla color, this candle complements virtually any color theme, making it ideal for any home. Cafe Plus Coffee Syrups: To enrich your morning coffee with a delectable taste of something different, this set of 5 flavored coffee and latte syrups will surely spice up your day. Including amaraetto, vanilla, salted caramel, cappuccino, and pumpkin spice syrups, you’ll feel like a barista at home when you start your brew each day. Coffee Spoken Here Gourmet Ground Coffee: To help you wake up and smell the coffee this season, this bag of gourmet ground coffee will put a little pep in your step each morning. Faux Fur Throw: To keep you warm and bundled up this winter, drape yourself in this luxurious charcoal gray faux fur throw. Great for chilly days and blustery nights, this faux fur throw is a must-have for any cozy home. Gold Striped Coffee Mug: Because every gal deserves a pretty coffee mug to start her day, this gorgeous gold and white ceramic striped coffee mug is a beautiful way to wake up. Home Accessory: To remind you that home is where your heart is, this fanciful home decor accessory features a white marble base with silver metal scripted text that says “home” on it. Display it on your mantle, a coffee table, or even in your kitchen; it’s versatile enough to be placed virtually anywhere in your abode. Image Skincare Vital C Anti-Aging Serum: This pharmaceutical grade vitamin C serum minimizes and soothes the visible effects of environmentally damaged skin. For healthy, youthful skin, this formula revitalized and rejuvenates skin with powerful antioxidants. ipsy Cosmetic Bag: This feminine deep red lace-print cosmetic bag is great for storing your must-make cosmetics, beauty tools, and brushes. Plus, it’s small enough to carry in your tote bag (for mid-day touchups) but spacious enough to store all your beloved beauty products. Wooden Notes Journal: To inspire your creativity, unleash your dreams, and allow your mind to run free, this rustic-looking journal is great for jotting down ideas, writing poems and stories, or documenting your daily experiences. NYX Luv Out Loud Liquid Lipstick in “Confident”: This neutral-hued liquid lipstick leaves a creamy texture and a velvety-matte finish. Plus this long-wearing lippie will ensure your look gorgeous for hours, without having to reapply your lipstick. Peter Thomas Roth Pumpkin Enzyme Mask: This powerful, triple-action manual, chemical, and enzymatic exfoliating treatment address a dull, aging, and congested complexion in three ways: it exfoliates with pumpkin enzyme, reveals with alpha hydroxyl acid, and polishes with aluminum oxide crystals. It also helps even the appearance of skin tone, smooth the look of fine lines and wrinkles, and clarify to reveal skin that looks smoother, younger, radiant, and revitalized. Royal Spa Bath & Shower Gel: Containing gentle AHA exfoliants, this aromatherapeutic bath and shower gel gives your skin a clean, silky, refreshed feeling. A Year of Cozy Book: 125 Recipes, Crafts, and Other Homemade Adventures: To inspire your domestic side, this charming book contains dozens of tasty recipes, fun DIY craft ideas, and fun things to do at home. Wood Tray: Ideal for entertaining guests with freshly brewed lattes and home-made muffins, or great for storing your nighttime beauty products on, this stylish wood tray with gold-toned handles is convenient and versatile. What are your favorite things about the month of November? These are a bunch a cool products that I need to pamper myself after a really tough year that needs to hurry and end lol. “The Year of Cozy” book has been on my wish list for what feels like the longest time, but it’s not something that I can afford right now. Any one of these gorgeous items would be such a blessing to have! Everything looks so soothing and warm, and even just scrolling through the photos has a sort of calming effect… It’s like a reminder that I need to care for myself. I’ve been so incredibly stressed out, for so long. I’ve got a lot of healing and “putting back together” to do; a lot of cozying to do. Really like the Coffee & Coffee Syrup Set. The anti-aging serum is screaming my name. I want to try all of the makeup and the coffee syrups! My favorite thing is the candle! It all sounds great. Spa pampering products: Batah and shower gel look great. I would love to try the pumpkin enzyme mask. I have been fighting against time and trying to keep aging away from my face. Love it all, I especially like the vitamin C serum. Happy holidays to all. Oh my goodness!!! All of the prizes sound wonderful! The throw, the candle, the mask….they ALL just sound wonderful. Ever since I raised my kids, and they moved out, I’ve tried to concentrate on me. But its hard when your financially strapped. These prizes would just let me concentrate on ME! I’d try the Peter Thomas Roth Pumpkin Enzyme Mask first! My skin needs it in the cold winter months. The item that I would be most excited to win is the Peter Thomas Roth Pumpkin Enzyme Mask. Winter months are increasingly rough on the skin, and this would be a blessing for my face. The selection of prizes is really great and some would be excellent Christmas gifts. The ‘A year of Cozy’ book is another prize that I would get a lot of use of,incorporating more comforting self-care into my daily routine. Thank you for this gracious giveaway! Yes please to everything in this giveaway! So many awesome things to try. I would love to win , so many exciting products that I can spoil myself with and even some friends, thanks for the chance. I would as well! Peter Thomas Roth products are great! If I won your giveaway you do not know how blessed and ecstatic I would be. I would slit it between my two daughters and with what few things I have gotten them they would be taken care of and I know they both would LOVE it. That is all I ever want for Christmas, honestly, is for them to be content with their Christmas. The only other thing I always wish is that we truly remember the reason for the season and not get into the material worlds blah blah….. And I am guilty of it myself, that’s why I pray for these two wishes each year. Thank you for your generosity each month. I sincerely appreciate it. Maybe one day I will win. If not, I know the person who does win is so excited and I’m happy for them. what a great giveaway! The pumpkin mask would be what I want to try the most! I’m really excited about the Image Skincare Vital C Anti-Aging Serum I really want to try it! Oh my goodness wow all the beautiful products .I never tryed any off this brand. Before and i would love to it wound make my birthday Wonderful. And christmas Special . I’d love to try the Coconut Lime Shampoo, Conditioner and Hair Mask. I’d put the lime in the coconut and shake it all up. I would love to win this giveaway because this year I cannot afford presents for friends and family. It’s been a very hard year with many medical bills. I’d love to win! I’ve been going through IVF and have met a few friends through a support group and I’d love to share all these cozy gifts with them. I’m most excited about the Royal Spa Bath & Shower Gel & the Chesapeake Bay Candle in Crème Brûlée but would love them all! Everything goes together for a spa relaxing recharging weekend. My favorite things about the month of November are the crisp vibrant colours of the changing leaves, fresh cool breezes, bright sunny skies, preparing for the holidays, and my wedding anniversary on the 22nd of the month! My favorite thing about Autumn is the “Anticipation That Fills Thr Air” We anxiously look forward to all of the family holidays, gatherings, church events & of course the wonderful delectable smells of it all that bless of with that “Warm Toasty Feeling” inside. This unbelieveable package of such lovely treasures warms me like that..the smells, and beauty of them all. Thank you for your giving spirit.. I would like to win this as there are lots of products here that I have never tried before and what an exciting way this would be, to discover new products to add to my beauty regime! I’d love to try the coffee and the different coffee syrups. I’ve had surgery and could really use the skin products. I like November as it is a very srong reminder that winter is on the way. The rains and then cold periods let us know we need to prepare. Everything will make one feel relaxed and a maybe little spoiled. Cafe Plus Coffee Syrups enjoyed with the lovely mug and tray , maybe the scented candle burning. and I properly cocooned in the snugly throw pure, bliss. Would love to have these products throughout the cold months. I would share this with my Sister who has seizures often. She would love it. Peter Thomas Roth Pumpkin Enzyme Mask, although everything has my pulse racing! I really enjoy the benefits of essential oils and the Wooden Note Journal is so unique and charming….and the Benefit Cosmetics Mini Hoola Matte Bronzer…Wow!. I love it all and hope that it’s me who gets spoiled rotten!..yes Santa I was a good girl this year. I am excited about all of these lovely items but would really love to try the pumpkin mask! It must smell so delicious! I’m excited to try the Image Skincare Vital C Anti-Aging Serum! Looks like every thing is included to help settle in for the winter months ahead. I would love the enzyme mask! What a great giveaway! I’d love to try the Peter Thomas Roth Enzyme Mask. i wanna try the benefit hoola bronzer! Peter Thomas Roth Pumpkin Enzyme Mask looks great. What a wonderful prize, really special products! What a great cozy giveaway! Would love to win:-) Good luck, everyone! This prize package seems so warm and comforting! Royal Spa Bath & Shower Gel: Containing gentle AHA exfoliants, this aromatherapeutic bath and shower gel gives your skin a clean, silky, refreshed feeling. I so need these products in my life! These are wonderful treats for us grown ups to pamper ourselves a little. ** a problem! **The RSS Feed page is just a mass of unfinished HTML, what do I do? I want to win because these are such attractive products – just gorgeous! Plus I need that Image Skincare Vital C Anti-Aging Serum now! Hi Margot, we’ll have our tech team look into this. Thanks for letting us know! Who wouldn’t want to pamper themselves??? I would love to win because I could really use these products! So many awesome products I’m especially excited for the PETER THOMAS ROTH Pumpkin Enzyme Mask Enzymatic Dermal Resurfacer, ‘Breathe Deeply’ Aromatherapy Facial Spray, Coffee & Coffee Syrup Set. What a great giveaway package. I think I would love the coffee. It would be perfect for the cold winter mornings. Any of these products would be wonderful to keep for myself or maybe share a few with friends this holiday season! I would love to win cause the selection looks amazing!! 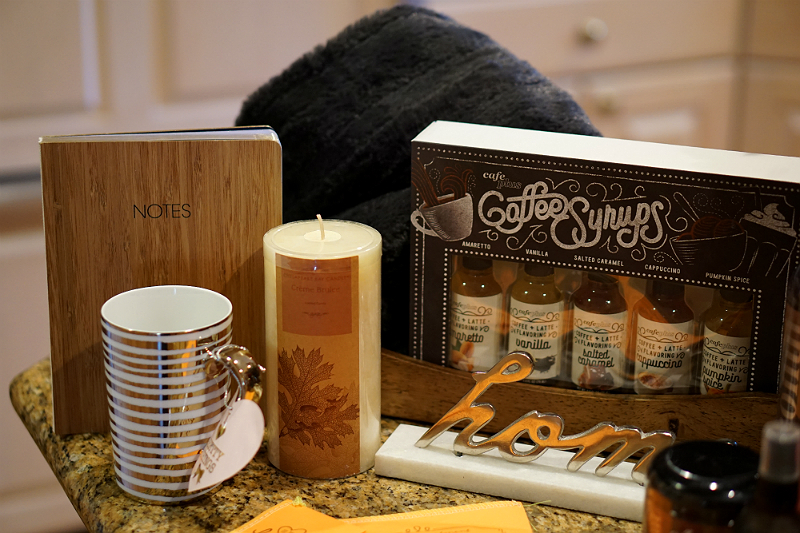 I just love fall and my fave thing in the prize is the coffee syrups! They sound amazing! This is a very nice collection, my favourite is the wood tray. I think I would find this very useful. This grouping just sounds like the epitome of lush pampering. I’m a mom and a caretaker… it would be lovely to be the recipient of such lavish treatment!! Love this awesome assortment in the Year of the Cozy! The Royal Spa Bath & Shower Gel has caught my eye. Amazing Giveaway!! Thank you for the chance!! Super What an amazing contest ! Thanks for the chance! I would like to win the lovely candle. Brazilian Bum Bum Cream. This sounds really interesting to me. I am excited to try the Cafe Plus Coffee Syrups first. Awesome prize. I would love to win for so far in the past 2 weeks have had 2 surgeries, this would make me feel soooo good and comfy! Another great giveaway! I’d love to get my hands on the Peter Thomas Roth Pumpkin Enzyme Mask! I feel like this giveaway was made for me!!! I love and would use everything in the giveaway. Trying to pick one thing is hard. If I had to pick it would have to be the coffee, because I drink coffee first thing when I wake and then off and on all day! But I love and need the other things too. I really like the Peter Thomas Roth Pumpkin Enzyme Mask as it sounds like a great product. I also like the Royal Spa Bath & Shower Gel & the wood tray! This is a fabulous giveaway; thanks for the chance to win all these lovely gifts. And I love November because for me it is the month to cozy up and relax after the harvesting! Wow! It would be so very exciting to win this cozy package!!! It looks like all bases are covered for complete pampering in a cozy way! The coconut and lime hair products jump out at me because I <3 coconut and Love lime….what a great combination for complete hair care, and right now my hair really could use a boost! Wow! ………….What an amazing giveaway! Thanks for the chance! 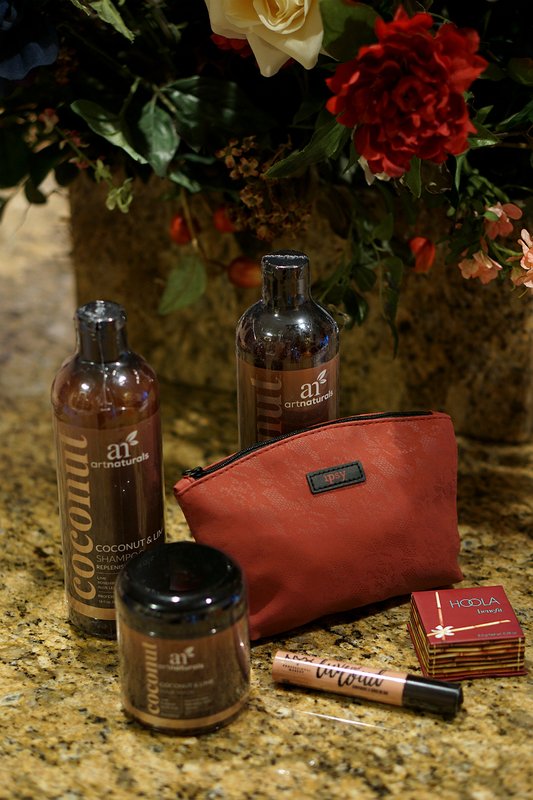 I would enjoy winning the ArtNaturals Coconut Lime Shampoo, Conditioner, and Hair Mask. What a great giveaway. It’s really difficult to pick just one thing I’m excited about the most because everything is enticing! 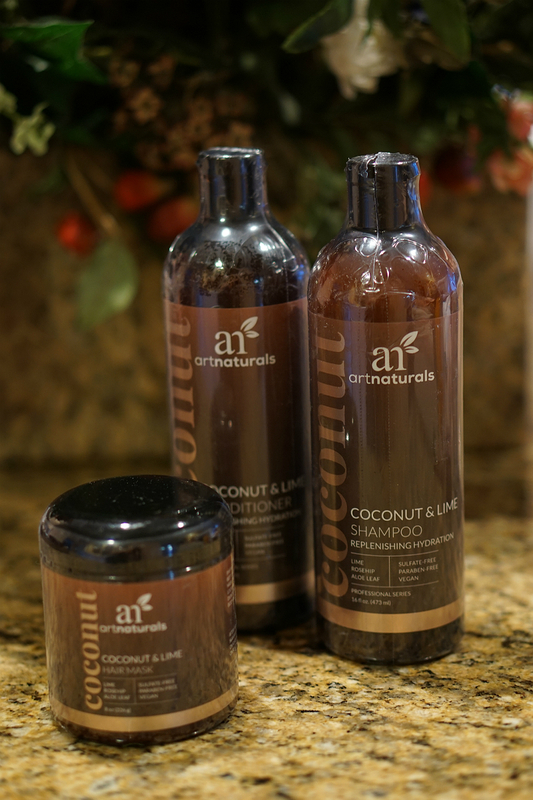 I will say the Art Naturals Coconut/Lime hair products would be a first pick, because I’ve never tried this brand, and I LOVE anything scented like lime or coconut. I am excited to try the Peter Thomas Roth Pumpkin Enzyme Mask. Everything in this prize pack is great though! 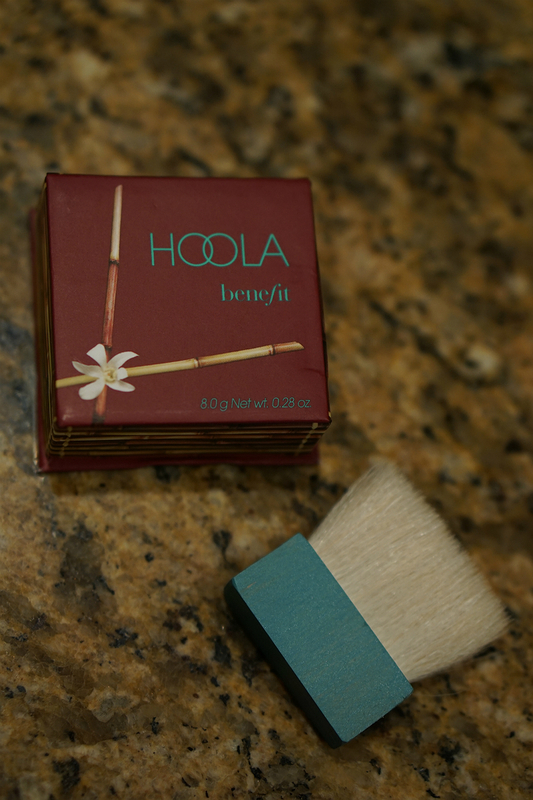 I’ve always wanted to try the hoola matte bronzer from Benefit Cosmetics – I heard great things about it. I just wanted one in my collection and play with it too! The picture of the giveaway gives me warm vibes – Happy Thanksgiving! There isn’t one thing I would not love to try. The art naturals shampoo and conditioner sound fantastic! Cozy up with a book, blanket and the aromatic candle sounds wonderful. What I love about November is my darling nephew’s birthday, the color of the leaves, walks in the brisk air, warm cozy evenings, knitting gifts for the holidays. I am excited about all the wonderful products in the give away. This giveaway is so awesome. It’s hard to pick just one but I like the serving tray that way husband can bring me breakfast in bed once in a while! I need something for my wrinkled skin and coffee is a plus. There was a lot of thought put into each and every product included in this giveaway, Thank you all!! I would love to win because I have had the worst year of my life and need my spirits lifted again. Skin care and makeup products for my wife. I would love to have this to indulge in this winter!!!! I would love to win this great giveaway so I could try some of the great products that I can’t afford to buy on a fixed income. It would give me a chance to sample them before I do go and purchase them. I love the Coffee, the Candle and the Pumpkin Spice Mask and the flavored syrups! I would love to win this for our New Born Girl She is 6 weeks now Fingers and Eyes crossed Liked and Shared Thanks for the chance!!! Would love to try the Bum Bum Cream to see (rather feel) what the hype is all about! I love the crisp fall weather, the upcoming holidays and cooking for my family and friends. Would be perfect as I have birthday around the corner. Thanks for opportunity, this would be the perfect win just before my birthday. Hope I am lucky. I can’t afford to buy Christmas presents this year for my family because I’m not able to work so this would be an amazing prize to win because I’d have a little something for everyone! And I might just keep that Nyx lipstick and some skincare products for myself! Lol Thanks so much for the chance to win! I’ve been entering a lot of sweeps for others tonight, hopes of Secret Santa surprises… however, I think this I’d like to have for myself. I’m so stressed out, I need to just find time to relax… and I’d love to try the coffee and syrups! What a great giveaway! I’m excited for the skincare and the hair care (love the thought of coconut and lime)! I love the coffee syrups, the mask, the throw…all of it! Such a great giveaway! I would love to light the Chesapeake Bay Candle in Crème Brûlée! I would love to win and excited to try the Royal Spa Bath & Shower Gel!! Great giveaway!! My favorite things about November is the fall weather everything pumpkin and is closer to Christmas and thanksgiving! I’d be most excited to try the Coffee & Coffee Syrup Set. I love all things cozy-so this is a dream package! I really like the gold mug. I would love to win any of this, I’m most excited for the throw blanket though. 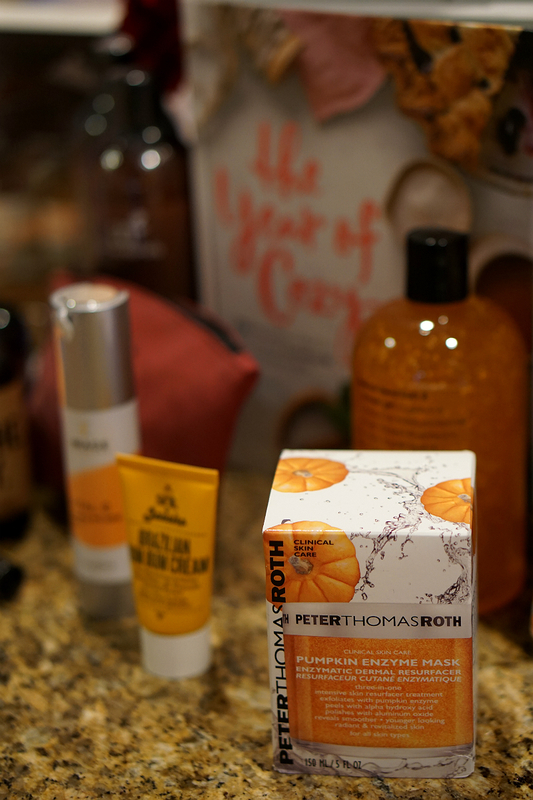 Peter Thomas Roth never lets me down- and I am excited to try a pumpkin skin care product! The Coffee Syrups sound interesting and yummy to try. So many of the prize items would also make lovely gifts for friends and family. I would most like to try the ‘Breathe Deeply’ Aromatherapy Facial Spray. This is an awesome giveaway full of goodies! All of these products are amazing, but I think I most want to try the Peter Thomas Roth Pumpkin Enzyme Mask and the Royal Spa Bath and Shower Gel. Those sound so terrific! Not sure if I am more excited by the beauty products or the coffee. Awesome giveaway. Wow this is amazing I would love this getting older is hard to our looks I would love to try all these products to see if there is a way to keep my skin younger and smoother looking during the aging process. Wow I can’t believe your having another amazing giveaway..Cosy is my middle name.So excited.Thank you so much for being so kind.good luck everyone…. Everything is just wonderful. I would love to win this! I would love to win this as it has a lot of products I’ve never tried and I so want to flip through the pages of that book. I am most excited to try the Cafe Plus Coffee Syrups. I would love to win the Year of Cozy book. The Year of Cozy Giveaway that includes: Peter Thomas Roth Pumpkin Enzyme Mask, Image Skincare Vital C Anti-Aging Serum, Sol Janeiro Brazilian Bum Bum Care, NYX Cosmetics Luv Out Loud Liquid Lipstick in “Confident”, Breathe Deeply Aromatherapy Spritz, Royal Spa Bath & Shower Gel, Benefit Cosmetics Mini Hoola Matte Bronzer, ArtNaturals Coconut Lime Shampoo, Conditioner, and Hair Mask, Wood & Gold Handle Serving Tray, Gold Striped Coffee Mug, Chesapeake Bay Candle in Crème Brûlée, A Year of Cozy Book: 125 Recipes, Crafts, and Other Homemade Adventures, Notes Journal, Faux Fur Throw, Home Decor Accessory, Ipsy Cosmetic Bag, Coffee & Coffee Syrup Set is FABULOUS! Everything in there is a must have!!!! I want to use the Wood & Gold Handle Serving Tray. I would love to win because after planning our november wedding I really need next year to be warm and cozy and relaxing. I would love to win because I never buy anything for myself and to win would be so awesome, to have some great products to pamper myself, I would feel like royalty!! I would love to win this giveaway. I desperately need skincare products because I have dry skin that really needs some help. Thank you for the offer to WIN! Amazing! So many beautiful products. most excited to try Cafe Plus Coffee Syrups: The flavours of amaraetto, vanilla, salted caramel, cappuccino, and pumpkin spice syrups, really appeal to me. Wow! What an amazing giveaway! Thanks for the chance! I love the beautiful coffee mug. I like to sit & sip my coffee, relaxing outside or inside when the weather turns cold, watching the birds & looking for deer. A beautiful cup makes all the difference in helping to relax. I would be very excited to win the Peter Thomas Roth ive always wanted to try this brand and have heard wonderful things and the aromatherapy breathe Item, I love aromatherapy items I use essential oils and other natural items so I’m very interested in trying new aromatherapy items! I see NYX and a bronzer on the list I love NYX and any bronzer is a good bronzer 😉especially a butter one which I’ve never tried before everything would be new to me on the list. I would love to win and use some items for Christmas, it’s going to be a tough year since I’m not working and dealing with my brain tumour. I would treat myself to some of the items and also my husband who enjoys masks and bath and body items etc with me. This would be so wonderful! Thank you so much for this chance! I like the book, journal, cozy throw, bath products, etc! Winter is looong here in NL, so a prize pack like this would help keep things cozy. Im excited about all of the skincare and makeup!